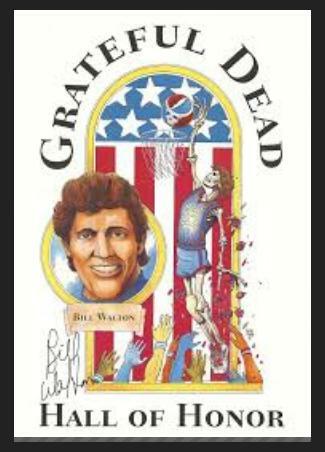 The Grateful Dead paid tribute to one of its biggest fans, NBA basketball legend Bill Walton. The poster was designed by Tim Truman. It was sold by the Rex foundation, of which Bill Walton is a board member. This limited edition poster is signed and numbered (#/2000) in Sharpie by Bill Walton. It measures approx. 28"x 18" and is in great condition. No tears, or holes. It would look great framed.